Markets snapped their winning streak and ended the week down slightly as investors decided to take some profits off the table. The light economic calendar led to sluggish activity since investors were reluctant to commit to positions without new data to bolster their analysis. 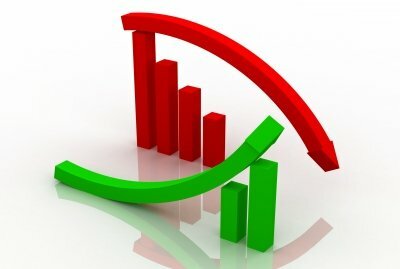 For the week, the S&P 500 lost 0.68%, the Dow fell 0.88%, and the Nasdaq slid 0.25%.[1. http://goo.gl/AjXO3V]. In Ukraine, the ongoing conflict escalated when well-armed pro-Russia separatists shot down a Ukrainian military plane. Russia and Ukraine have been caught in a standoff since March, when Russia annexed Crimea. European leaders spoke with Ukrainian and Russian officials about the incident, stressing the need for a cease-fire in eastern Ukraine and a return to stability.[4. http://www.cnn.com/2014/06/14/world/europe/ukraine-crisis/] EU countries rely on natural gas supplies that pass through Ukraine, and interruptions could cause price spikes and temper much-needed economic growth in Europe.